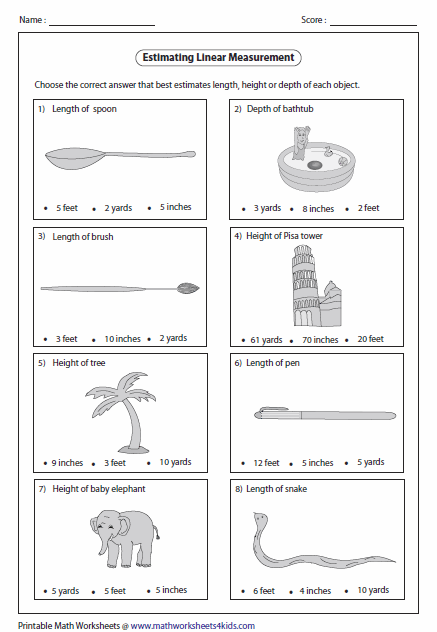 Basic length worksheets contain measuring length of real life objects with paper clips, building blocks and rulers; estimating length, height or depth of real life items. 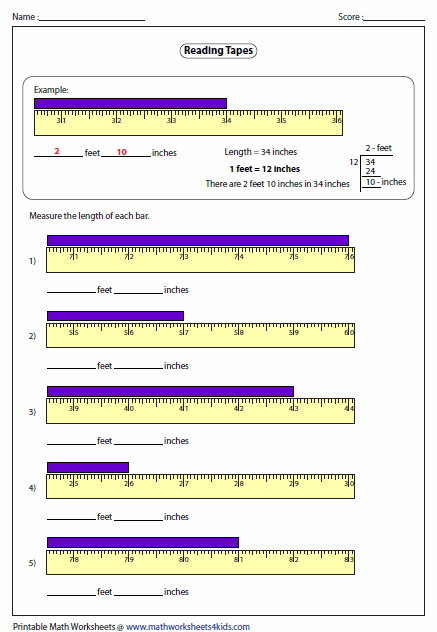 Ruler worksheets contain reading pointer, drawing pointer to show the reading, measuring bars, reading tapes to measure long bars and more. 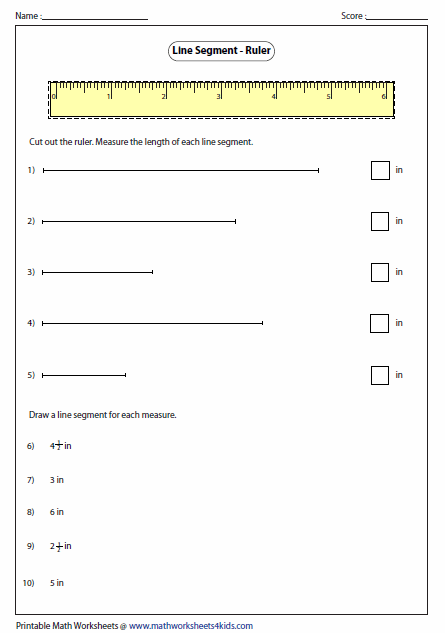 We also have worksheets on drawing and measuring length of the line segments. 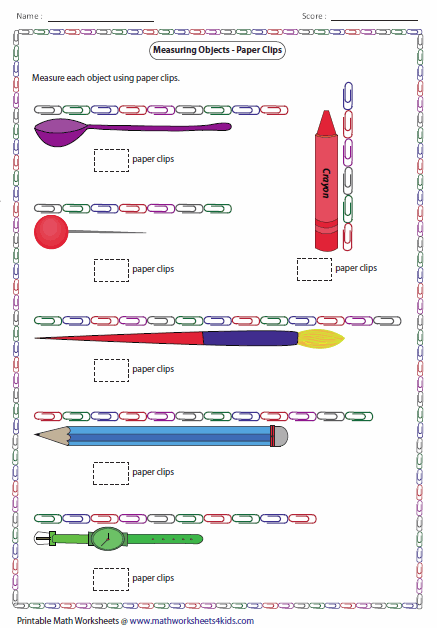 Measure the length of each object with paper clips. 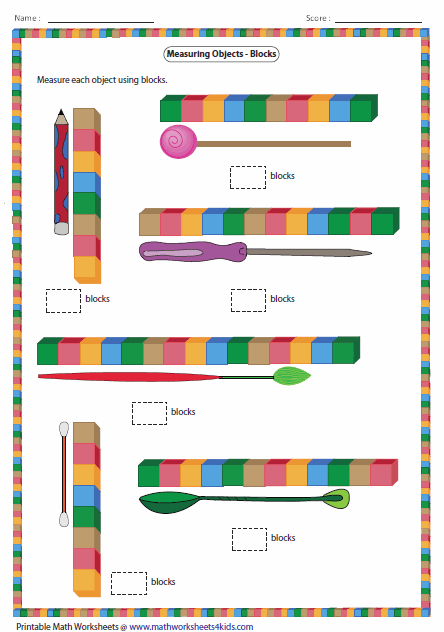 Use building blocks or cubes to measure the length of each object. 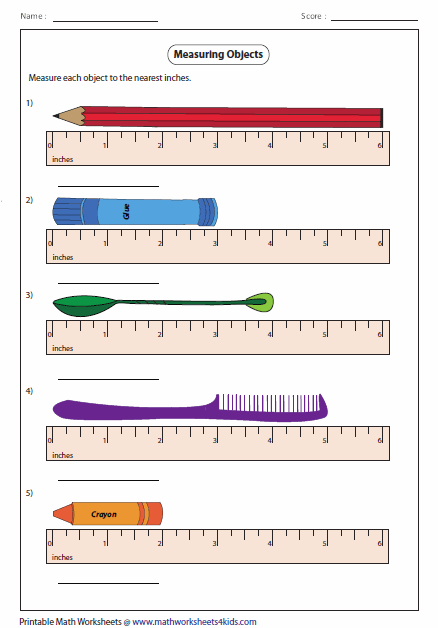 Measure each real life object with ruler to the nearest cm, half cm, inches or quarter inches. Identify the unit that is appropriate to measure each object. 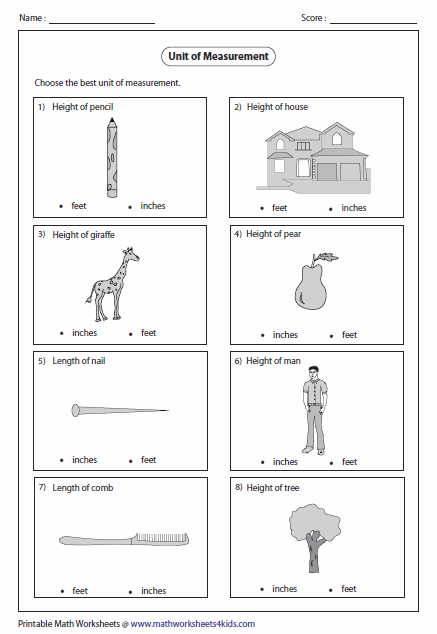 Each worksheet has 8 problems estimating length, height or depth of real life objects. 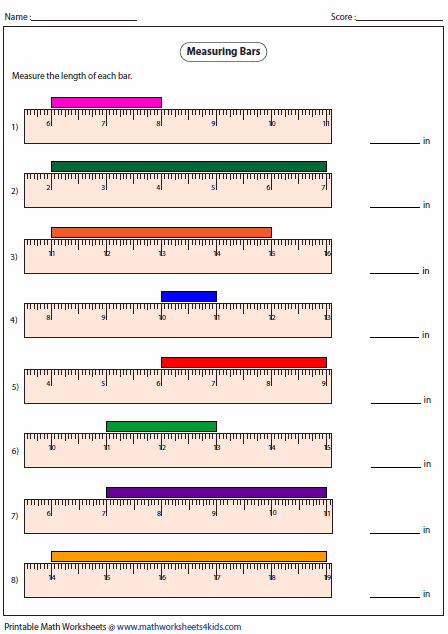 Cut out the ruler from each worksheet to measure length of the line segments. Also, draw the line segment for the given measure. 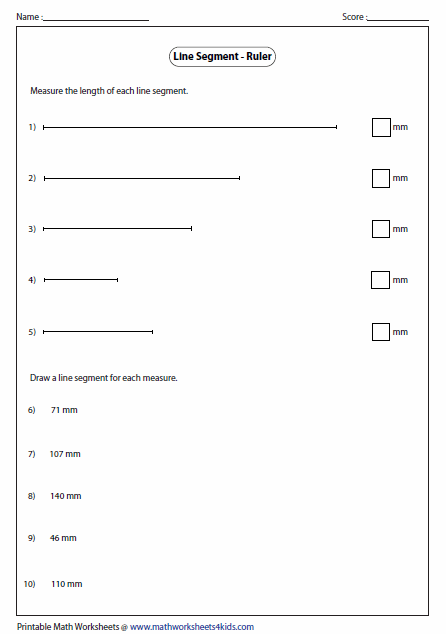 Use your own ruler to complete these worksheets. Answers may vary depending on your printer settings. 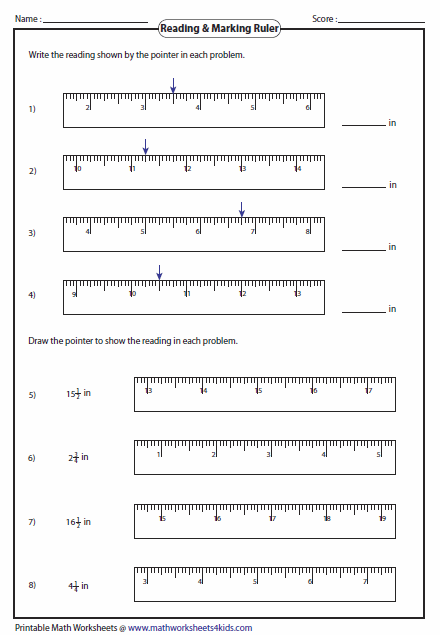 Each worksheet has 10 problems reading ruler and drawing pointer. 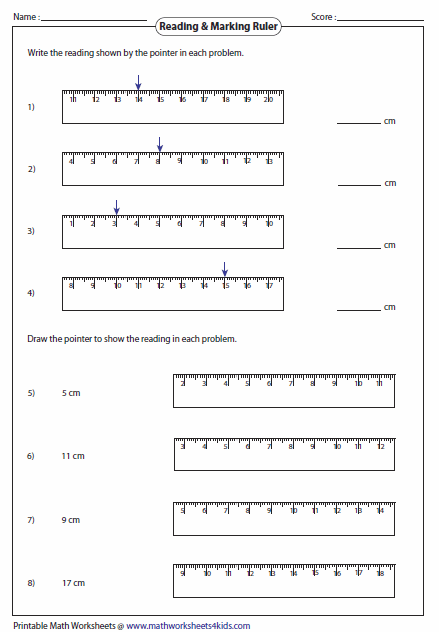 Each worksheet has 5 problems reading inch ruler and 5 problems drawing pointer to show the reading. Bars placed at anywhere between rulers. 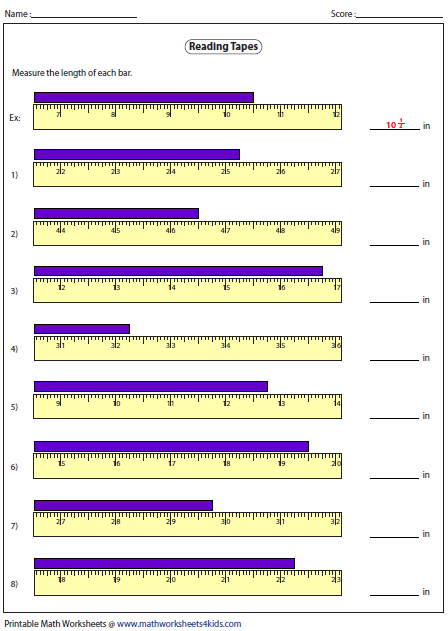 Read start and end point to measure length of each bar. Read end point of the tape, to measure length of each bar. Measure each tape in inches, and convert the reading in feet and inches.